I think I like it! 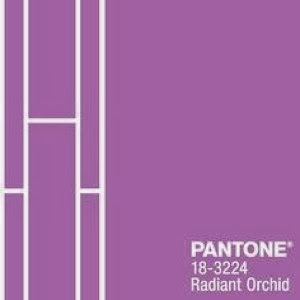 Radiant Orchid (sounds much fancier than purple doesn’t it?) isn’t a major colour in my life. A splash here, a stripe there. I use it more as an accent than a stand out colour. Check out my Pinterest Radiant Orchid board to see more ways to work this fab colour into your life. I don’t consider myself a purple person but I tend to buy purple things, so I think I must be! didn’t even know they had a colour of the year until you pointed it out……………….